Recognizing the immediate need to address growing gaps in the affordable housing stock, GHF mobilized the first $2 million in May 2018 by offering a below-market bridge/gap loan program. On September 17, 2018, GHF announced more than $800,000 in initial funding to these three projects to support the development of 113 units of affordable housing. Additionally recognizing the need to not only produce new housing GHF will also launch a new Homeowner Preservation Program (HOPP) in November designed to work with local nonprofit partners to rehabilitate and preserve existing homes in neighborhoods experiencing strong gentrification pressures. GHF will offer $25,000 to nonprofit or government sponsor organizations that provide rehabilitation services. In addition to these funding programs, GHF is working with the City and County to identify key parcels of land to acquire for future affordable housing development. Acquisition; demolition and removal; professional and technical services, e.g., engineering, surveys; site preparation; and other predevelopment costs essential to project implementation. Construction financing for rental and for-sale housing (to include affordable, workforce and/or a mix of such and market housing). Substantial rehabilitation of substandard housing units occupied or to be occupied by low and moderate income households; conversion of non-residential space to residential purposes. 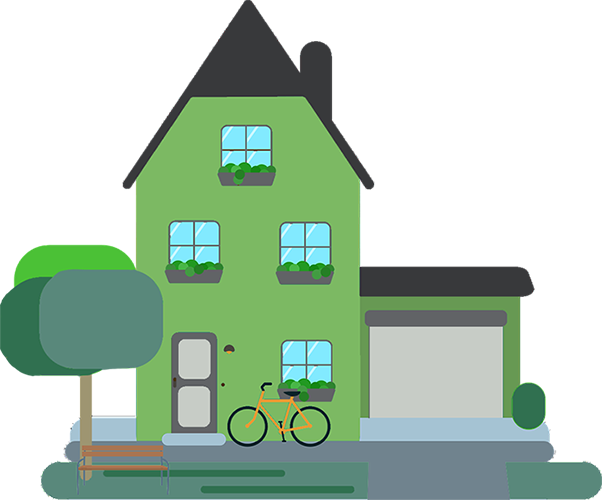 Moderate rehabilitation of owner-occupied houses to abate health code and safety code violations and any other work directly related to the required activities, including painting and finishing. Land Acquisition for banking or development. Down payments and other types of assistance that will enable eligible households to purchase affordable housing. Provision of tenant-based and/or project-based rental assistance. GHF will distribute financing as a loan, the terms of which will be determined by project need and feasibility. Construction loans to affordable/workforce housing developers or sponsors to be repaid at permanent loan closing. Construction loans to affordable/workforce housing developers or sponsors to be converted into permanent loans. Construction loans to affordable/workforce housing developers or sponsors that are prorated and rolled over to eligible purchasers upon occupancy. Loans to eligible housing developments to lower the purchase price of a primary residence. Predevelopment loans to affordable/workforce housing developers or sponsors to expedite the production of affordable housing projects. Bridge loans for affordable/workforce housing projects in which permanent financing or grants have been committed but not disbursed. GHF will secure its funds with a mortgage and promissory note payable to GHF and filed at the county office of record. The borrower will assume the cost of recording the mortgage. The subordination does not jeopardize project feasibility and the subordination is necessary. Projects that fulfill one or more of these priorities will be most competitive for funds. If two or more projects are highly rated by the committee, projects that are ready to proceed with construction (all funding committed, environmental review satisfactory; zoning compliance, permits acquired) will take priority over projects that have a longer time frame. Provide housing for households with very low incomes of median (Quintile 1). Proposes long-term affordability beyond the required minimum. Promotes efficient land use through infill in existing neighborhoods, reuse of abandoned buildings and/or rehabilitation of dilapidated, substandard structures. Commits funds to provide support services and programs that are appropriate for and accessible to residents, e.g. day care facilities, tutoring and after-school programs. Serves a mixed-income population (market rate and affordable units). 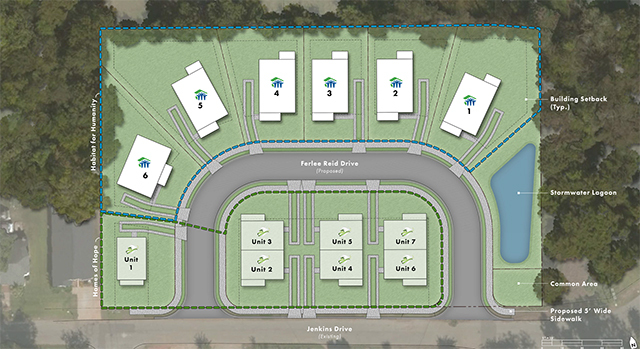 A higher percentage of affordable units within a market rate development is a priority. 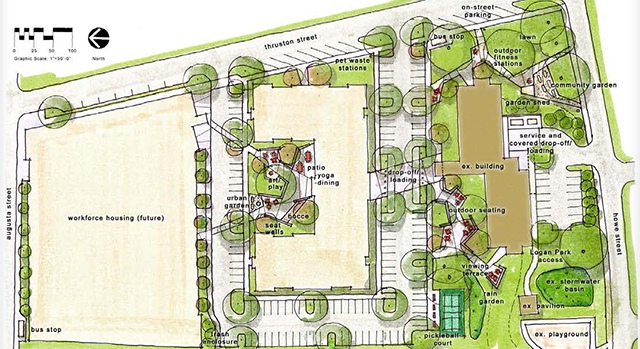 Aligns with Greenville’s Transportation plan goals. 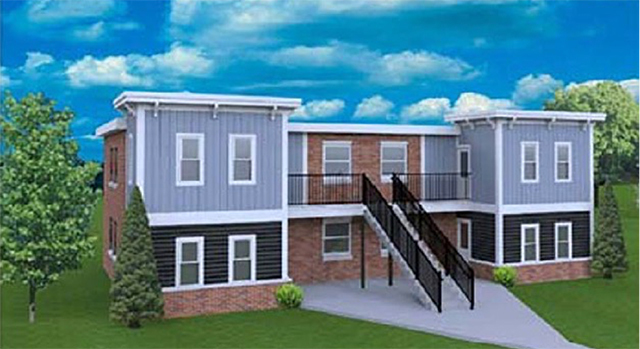 GHF finances the production and preservation of new affordable and workforce housing units, both for-sale and rental, through new construction, substantial rehabilitation of vacant units, or conversion of non-residential buildings to residential use. GHF will provide project-specific loans to nonprofit and for-profit developers and government entities up to $500,000 to construct new units or rehabilitate vacant housing units for sale or rent to low and moderate income households. GHF’s Homeowner Preservation Program (HOPP) is designed to assist low- and moderate-income homeowners in making repairs to their owner‐occupied homes. The goal is to preserve affordable homeownership for existing residents and ensure their health and safety. The purpose of the activity is to correct life, health and safety issues, provide accessibility for disabled persons, repair or replace major housing systems, and address structural problems. GHF will provide grants up to $25,000 to nonprofit and government entities that provide rehabilitation services to existing homeowners in target neighborhoods whose household incomes are primarily at or below 80% of Area Median Income and below. Sponsors are encouraged to use other funding sources in conjunction with GHF and must provide a commitment letter of other funding at the time of application, if additional funds are required and applicable. 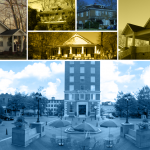 The purpose of the Greenville Housing Fund’s Land Bank Program (GHFLB) is to create vibrant communities through the creation of affordable housing opportunities, stabilization of property values, and the elimination of blighted properties. The Land Bank will acquire real property through donations, tax sales, and real estate transactions to support the production and preservation of affordable housing and neighborhood stabilization. The GHF Land Bank Program serves several target neighborhoods in both the City of Greenville and Greater Greenville County. Those priority target areas include, but are not limited to Judson/Dunean, Nicholtown, Pleasant Valley, Poinsett/Rutherford, West Greenville (West Side, West End, Southernside), and White Horse Road (see maps). These neighborhoods have a surplus of blighted and vacant properties poised for redevelopment and are strategic areas for the preservation and production of affordable housing. Priority neighborhoods do not preclude GHF from acquiring properties outside these areas. GHF seeks to acquire and dispose of said properties as part of a larger redevelopment and affordable housing strategy. Applications for funding will be accepted as part of a funding cycle unless otherwise noted. GHF will host a pre-application workshop, mandatory for developers, and a Letter of Intent (LOI) will be requested for initial evaluation of readiness. Complete a site visit and interview with the GHF application review committee. Be evaluated based on approved policies by GHF representatives in conjunction with the CommunityWorks Loan Committee. Funding recommendations are made to the GHF Board and final approval for funding awards are announced. 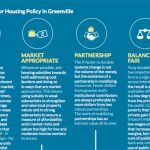 Take the first step in alleviating the affordable housing crisis in Greenville.